EMF » Propofol or Ketofol for Emergency Medicine Procedural Sedation- A Randomized Controlled Trial: The POKEM Study. Emergency Medicine Foundation > Projects > Queensland > Propofol or Ketofol for Emergency Medicine Procedural Sedation- A Randomized Controlled Trial: The POKEM Study. Compare the use of a commonly used sedative drug – propofol, used alone or in combination with another drug ketamine that has sedative and pain relieving properties. In this large, randomised trial, it was found that patients responded well to ketofol -- a combination of the commonly used sedative propofol and the drug ketamine, which has both sedative and pain relieving properties. It was found that ketofol didn’t cause any more adverse reactions than propofol alone. 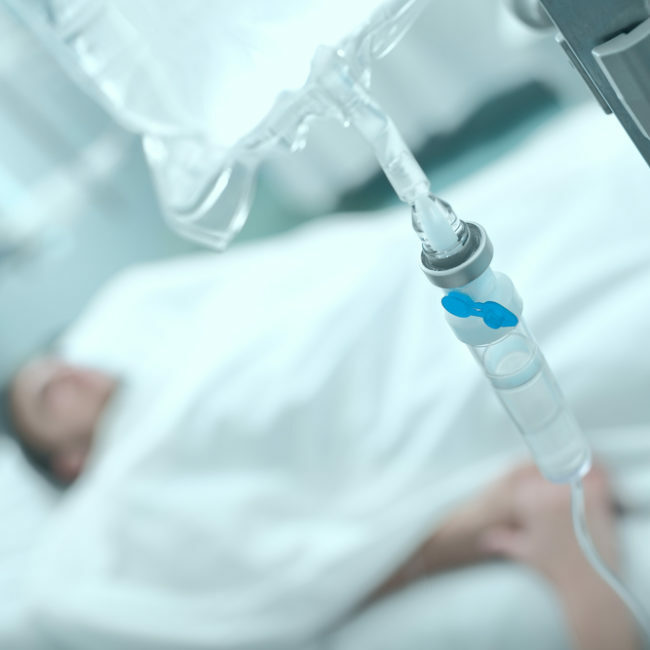 While ketofol was not shown to be superior to propofol, the two sedative regimens delivered similar outcomes and were both associated with high levels of patient satisfaction. In addition, it was also found that some patients receiving propofol were more likely to have slightly lower blood pressure (8%), with a small number of patients experiencing some form of hallucination (5% for ketafol compared with 2% for propofol). In the majority of cases, with both regimens, these were rated as pleasant by patients. Overall, the ketofol group had lower pain scores 30 minutes post-procedure. Finding that ketofol is a viable alternative to propofol will give us more sedation options in the future, especially considering the pain relieving properties of ketamine, which may reduce the need for other opiate type medications. Ferguson I., Bell A., Treston G., New L., Ding M., Holdgate A., 'Propofol or Ketofol for Precedural Sedation and Analgesia in Emergency Medicine, the POKER Study: A Randomised Double Blind Clinical Trial'. "Annals of Emergency Medicine", 2016; 68(5):574-582.e1.